A news story at The New York Times, Boss, I Need a Bigger Screen. For Work Efficiency, of Course., professes the benefits of using multiple displays or a bigger screen while computing. 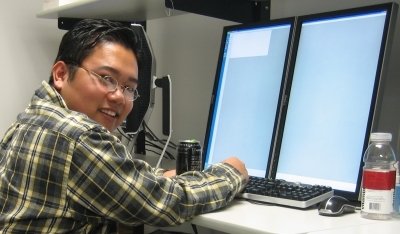 The article’s writer, Farhad Manjoo, points to research at the University of Utah that observed a 44% increase in productivity when multiple bigger displays were used. I can personally attest to the usability of multiple large displays. Rather than spend time manipulating application windows to fit a screen. I can quickly open two application windows that can be viewed simultaneously. It’s as easy as drag, drag, double-click, double-click. I can have software documentation open in one screen while software implementation is performed on another screen without derailing my train of thought or suffering from a mental context switch that is induced by window shuffling. This entry was posted on Friday, January 16th, 2009 at 9:25 pm	and is filed under Team Management. You can follow any responses to this entry through the RSS 2.0 feed. You can leave a response, or trackback from your own site.